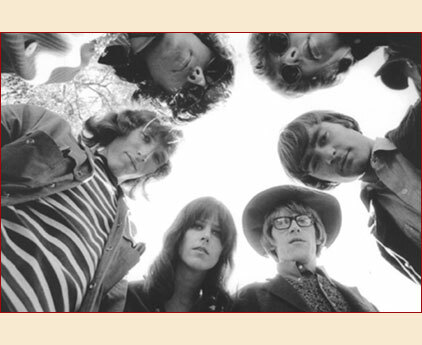 If there's one band in the 60's, that embodies the Westcoast-sound, it's Jefferson Airplane. Ok, there were the Grateful Dead, The Byrds and Love , but that's another story. Particularly their greatest hits "Somebody To Love" and "White Rabbit", both covered by a million of bands, made this band so famous. Jefferson Airplane the 1965-70 era. In this feature, I like to present the first four album excelled in the psychedelic domain and in their penchant for pretentious track titles, which came to characterise s, because they are the most essential of the influential history of Jefferson Airplane. BMG Heritage re-released the first four albums with additional extensive liner-notes, rare photos, bonus tracks and remastered from the original master tapes. The sound is excellent and the whole design is very tasteful. I think, that's reason enough to get a hold of it, not only for all Jefferson Airplane fans. For reading the reviews, just scroll down. Ok, here we go...back in time! San Francisco, California, USA....spring 1965....Marty Balin, a pop singer turned folkie met Paul Kantner, a veteran Bay Area folk guitarist. They agreed that they wanted a woman to sing with them and brought in Signe Toly Anderson, a powerful blues shouter from the Pacific Northwest. They recruited the other three members Alex "Skip" Spence (dr.), Jack Casady (b.) and solo guitarist Jorma Kaukonen, who had the idea for the band name which was influenced by the legendary blues man Blind Lemon Jefferson. They drew inspiration from The Byrds and the Lovin' Spoonful and built a local following at the Matrix Club. In late 1965 the band signed to RCA, and the first single "It's No Secret" was issued in February 1965, shortly followed by the second one, entitled "Come Up The Years" in May 1966. But the people didn't notice this new Westcoast band, so both releases were a flop. In September 1966, their first album "....Takes Off", was finally released, a competent hybrid of folk-rock and blues and the band gained the first bigger attention. By the time of the album's release, Signe Anderson had left to have a baby and was replaced by Grace Slick (ex-Great Society). "Skip" Spence also left and the new drummer was Spencer Dryden (ex-Peanut Butter Conspiracy, ex-Ashes). It was Grace Slick who pulled the band clear of the softer folk scene towards a more adventurous and experimental style in which jazz, blues and rock traditions all played a part. 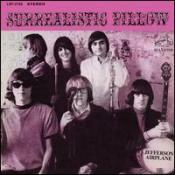 In September 1967, the follow-up "Surrealistic Pillow" was issued. A psychedelic classic, including their greatest hits "Somebody To Love" and "White Rabbit", inspired by the Lewis Carroll book 'Alice In Wonderland'. The album going on to sell half a million copies. 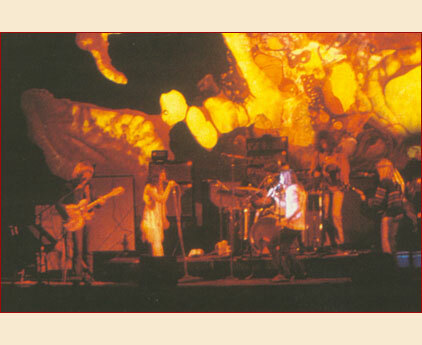 The band then took psychedelic experimentation even further with their third album "After Bathing At Baxter's", that was released in June 1968. It's a concept album around a LSD experience, with free-form suits and extended instrumental jams. The melodies were still in there, they were just harder to find and the band wasn't interested in selling millions of this album. But among the Airplane fans it was very well received. 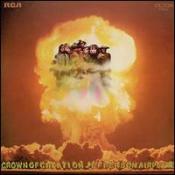 In December 1968, the band came up with the relatively more accessible "Crown Of Creation". It features tightly-structured songs, like the second album, but the band has still incorporated sonic experimentaion. 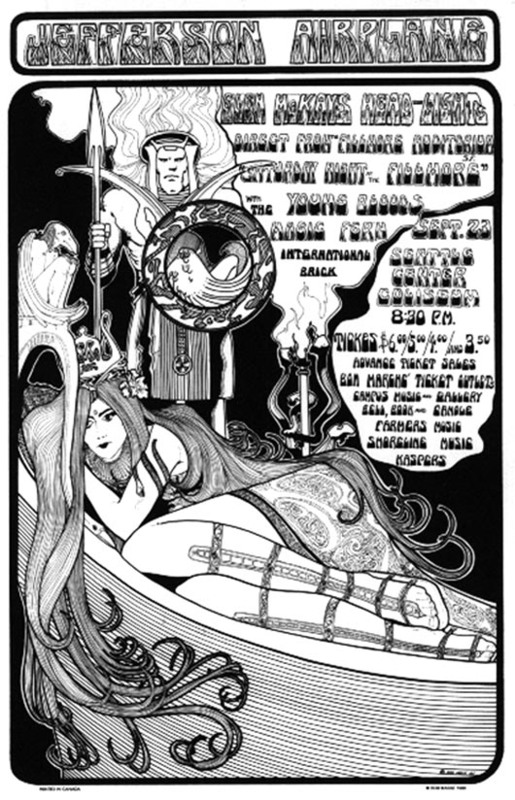 After a live-set ("Bless Its Pointed Little Head"-June 1969), the band recorded the last album " Volunteers", issued in February 1970, to feature once again the classic Jefferson Airplane line-up. In the end of 1970, the San Francisco scene had called its day. Spencer Dryden left to join The New Riders Of The Purple Sage and Martyr Balin also departed around this time. Both were replaced by three new musicians. Two albums were released on the band's own label Grunt, these being "Bark" and "Long John Silver" before Casedy and Kaukonen also left to spend more time for their side-project Hot Tuna. "Bark" and "Long John Silver" were nothing really in special in comparison with the intensity of the band's earlier work and the live-album "30 Seconds Over Winterland", released in April 1973 is now best remembered for its cover art, featuring a squadron of flying toasters. In 1974 Slick and Kantner formed Jefferson Starship with the remaining Airplane members and new members, and it was clear the band were headed towards the mainstream and lost all the magic and orginality. But Jefferson Airplane have left four great albums for the next generations, and their trace in the history of rock. British bands apparently influenced by the mellow lyricism of the west coast sound included David Bowie, Curved Air , Jethro Tull , King Crimson , the Moody Blues , the Small Faces , Pentangle and Yes. Thanks to different internet sources for the informations and to the editors of the Jefferson Airplane webpage. This was the debut of a young and fresh band, ready to conquer the world with their sound. The music was very close to the early shows at the Matrix, and sonic experimentation wouldn't take place until their second and third albums. It's obvious to hear, that JEFFERSON AIRPLANE were a very tight and refreshing band in 1966, and the slogan "Jet Age Sound" on the back cover of the original sleeve was a fine description of this promising new sound. The sound was influenced by The Beatles, The Byrds and 60's folk-rock, but simultaneously apart from what was played from other folk-rock bands of this time. I think, Signe Anderson's singing wasn't as powerful as from Grace Slick, but, nevertheless, she had done more than just a good job and her voice harmonizes with the one from Marty Balin. The CD contains 8 unreleased bonus tracks, including alternate versions of "It's Alright", "Chauffeur Blues" , and "And I Like It", the uncensored versions of "Runnin' 'Round This World", "Let Me In" and "Run Around", an early version of "Go To Her" and the Billy Wheeler cover song "High Flying Bird". 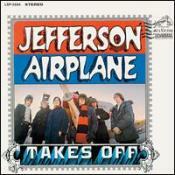 "Jefferson Airplane Takes Off" was not groundbreaking as the next releases, but a significant cultural force as well. The potential of this all-playing, all-writing group was fulfilled on the follow-up album, "Surrealistic Pillow". A psychedelic classic, the record spawned two top 10 singles in the U.S., "Somebody To Love" and "White Rabbit", Grace Slick having brought both songs with her from her previous band. 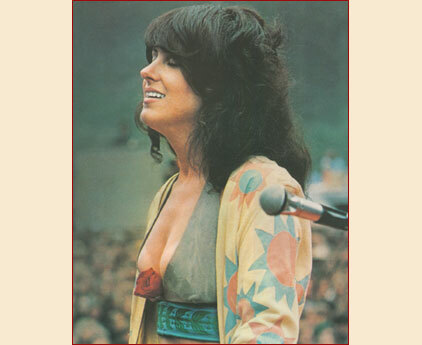 Her vocal's were even stronger than Anderson's and gave Jefferson Airplane the right shape. Though the forerunner was a well-received album, "Surrealistic Pillow was their world-wide break-through. For many, it's not only the essential Jefferson Airplane album, but one of the defining works of the 60's, together with the Beatles' "Sgt. Pepper", Jimi Hendrix' "Are You Experienced", and the debut of the Doors and the Grateful Dead, all issued in the same year 1967. Here you find 6 bonus tracks; the mono single versions of "Somebody To Love" and "White Rabbit" , which is longer than the original album version. The other four bonus songs are the Lightnin' Hopkins cover "Come Back Baby", the folk-rocker "J.P.P. McStep B. Blues", an alternate version of "Go To Her" and the bluesy "In The Morning". None of the bonus material is crap, and are making this re-issue to a duty-lesson of the early days of Westcoast rock. fter the overwhelming commercial success of "Surrealistic Pillow", Jefferson Airplane decided not to fulfill the outside expectations with the third album. The band wanted to stretch out artistically, instead of just writing pop hits, and so made it clear to RCA, that they would do it their way. The first two albums were pretty much three-minute songs, but "After Bathing At Baxter's" was something like a lysergic opera, divided into five suits. Though there was no Top 10 singles this time, the album contains some of the strongest and heaviest songs Jefferson Airplane had ever written. Some of the tracks were filled with a lot of fuzz and feedback like "The Last Wall Of The Castle" f.e. 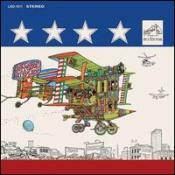 On the other side, the album includes with "Spare Chaynge" a nine minutes long free-form instrumental improvisation, which shows a total different side of Jefferson Airplane. As a bonus, you find here the live-long version of "The Ballad Of You & Me & Pooneil", an alternate version of "Two Heads", the semi-acoustic demo version of "Things Are Better In The East", which all are previously unissued, and the single version of "Martha". I really dig the wilful weirdness of their third album, and maybe this is their most creative work. After the more experimental third album, the band came up with the relatively more accessible fourth album entitled "Crown Of Creation". The so-called 'Summer Of Love" was drifting towards its end, and this is reflected by "Crown Of Creation". This album is like a crossover between the second and third album. The song structures are more conventional, without losing their room for experimentations. Jefferson Airplane didn't need to prove anything to anyone, and maybe that's one of the reasons for the very relaxed mood of the entire album. "Crown Of Creation" is also a bit darker than the previous albums, not only because of the impressive cover-artwork, which was done by famed fashion photographer Hiro. The album features the scary "The House At Pooneil Corners", Slick's haunting "Lather" and the David Crosby composition " Triad". The CD contains 4 bonus tracks, like the weird and jazzy "Ribump Ba Bap Dum Dum", the Zappa/Slick composition "Would You Like A Snack", where Frank Zappa and three of the Mothers Of Invention are appearing as additional musicians, the single version of "Share A Little Joke", and the previously unreleased long track "The Saga Of Sydney Spacepig". The fourth Jefferson Airplane album is highly recommandable, because it shows a band during its most matured period.